Just a quick reminder about the Perth Blogger Meet-Up this week! Danni and I are looking forward to meeting everyone on Thursday at San Churros in Subiaco. For anyone who missed the original blog post, Danni and I decided to organise a Perth YA Blogger Meet-Up for the small but awesome group of us over here in Perth, Australia. Anyone who is a YA blogger (or adult too if you like) is invited to our first ever Perth Meet-Up on Thursday 9th June at 4pm at San Churros in Subiaco. 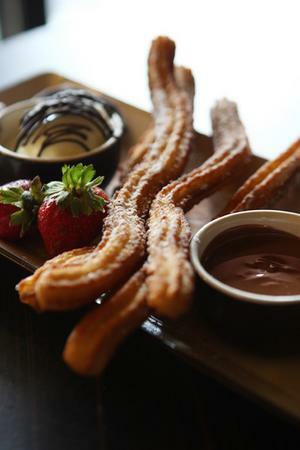 San Churros can be found on the corner of Rokeby Road and Roberts Road in Subiaco. It is right across the road from the Subiaco train station. Next door is Jus Burgers and across the road is the old Subi Market site. If you can't make it, don't worry, we'd love to make this into a regular thing! It would really be appreciated if you could email me to RSVP just so we have some kind of idea as to how many people to expect. If anyone has any questions, please don't hesitate to send me an email at jwillis87(at)hotmail(dot)com. You can RSVP to it as well. Um, can you say yum?! I am looking forward to this year's annual Perth blogger event. Each year, there are new bloggers that are making waves via blogging.